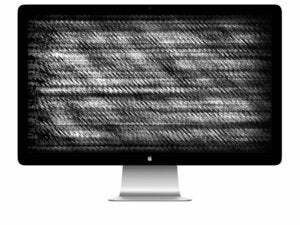 You’ve got options other than a standard display to use as your Mac's monitor. My monitor that I use for my Mac mini got stolen in transit for repair. I’m wondering if I really need one since I have an iMac (that I can’t use as a monitor for it as it’s too old) and a 2015 MacBook Pro. And an HDMI TV. So how do I use the MacBook Pro and the TV as monitors? We get variants on this question from time to time, and it’s one of the most frequently that I’m asked in person: someone wants to add a display to a Mac and they want to make use of what they have on hand instead of acquiring more hardware because of cost or space or sheer efficiency. For Charles in particular, he must know through testing or by checking Apple’s support page for Target Display Mode that his iMac can’t act as a monitor. iMacs as far back as the 27-inch late 2009 model can engage this mode, which Apple explains how to use on that page. I know that folks who have such Macs often use them primarily as a computer, but then “dock” their laptop to have a larger second screen when they need to work on the laptop. HDTVs can work as a display, but depending on the model and features, it might appear too low resolution or fuzzy for reading. I’ve found that some TVs double well as a monitor, while others are optimized for video and look best at least a few feet away, even when carefully calibrated. 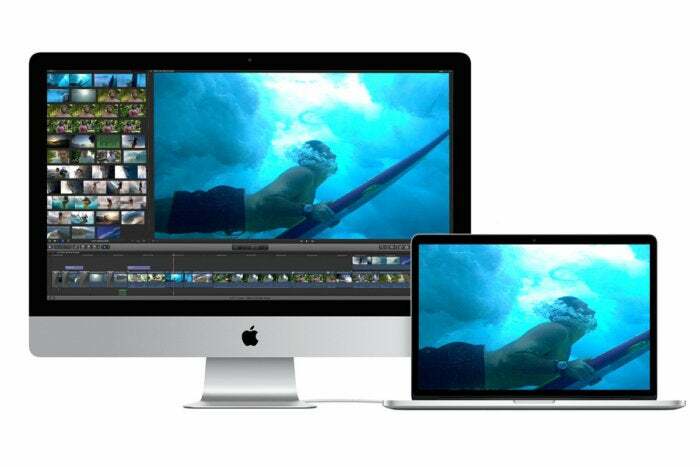 You’ll have better luck, of course, with a 4K HDTV than a 1080p one, but you need to make sure your Mac has 4K support. You just need an HDMI cable, port, or adapter. 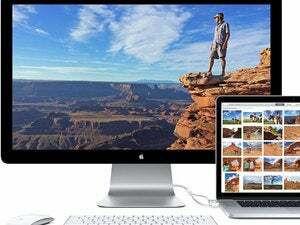 Some Macs have HDMI ports built-in, and USB-C and Thunderbolt docks often feature an HDMI port. More generally, you should be able to connect a DisplayPort to HDMI adapter for Macs with Mini-DisplayPort or Thunderbolt 2, or a USB-C to HDMI adapter for the 12-inch MacBook or new MacBook Pros. You can turn any Mac (or iOS device) into an additional display with third-party software. I recommend Avatron’s AirDisplay, which has been developed and updated over several years. You install free host software on a Mac, and then the appropriate paid client software on another device. The Mac host can support up to four external AirDisplay clients. AirDisplay let me add my 12-inch MacBook as a HiDPI display added to the two monitors already connected to my Mac mini. The Mac client works with OS X 10.7 and later; iOS with iOS 6 and later. The Mac client is $20 and iOS $15. Each client can work on multiple machines registered to a single user or Apple ID account. The Mac client can be purchased from either the Mac App Store or directly from Avatron. Avatron has a demo Mac version available on its site.